I’ve actually had the idea for this book, which is precisely what it says on the cover, forever. Doctor Who is a very quotable show, and quote books such as Primetime Proverbs or I’d Rather Kiss a Wookie – the Star Wars Quotebook are popular and fun. So, reading this I thought – how’d someone else get to do this first? However, the book is fun. The quotes – from both the Classic Series and New Who are good and most favorites are included. However, there are some mistakes, such as – “The coffee’s just about as filthy as UNIT tea, if that’s possible.’ – Jo Grant, Planet of the Spiders” – which is simply wrong. Jo’s last episode is “The Green Death” and she didn’t suddenly reappear in “Planet of the Spiders” (Jon Pertwee’s last story). So, either the attribution is wrong, or the episode title is wrong. Since I can’t quite picture Jo saying, “filthy”, I’m guessing she never said that – it was someone else. And there are other similar errors. I’m pretty sure all the transcribing is correct – but some of the titles or attributions contain errors. A second issue is that any quote from the Doctor is simply attributed to “The Doctor” – I really think the actor who played the Doctor should have been included. Episode titles are included, but not everyone has the entire run of the series from “An Unearthly Child” to the last Capaldi episode memorized. I mean, I’ve been a fan since the 1980s – and I have to look stuff up occasionally. By the way, I actually have a hardcover version of this book, not an e-book. There’s also an UK version available, but Amazon UK won’t ship it to the US. I’d love to know why. I’ve been watching Gotham Season 1 on DVD (never fear, review is coming, hopefully by the end of the week), and decided to make these quote pics. 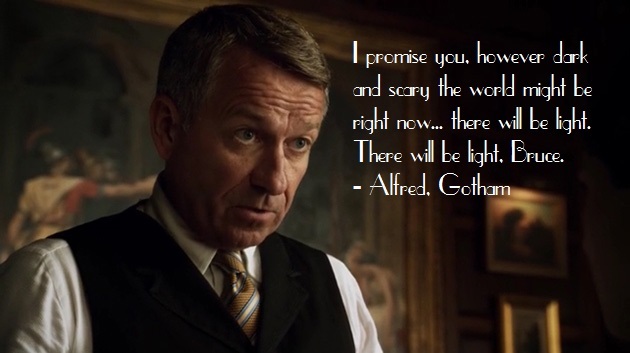 All quotes are from “The Mask” except Alfred’s first quote which is from the pilot. Images are publicity stills copyright Warner Brothers. Sean Pertwee as Gotham‘s Alfred. With every word he speaks, we see how Alfred truly loves and cares for Bruce Wayne, the young man left in his charge. 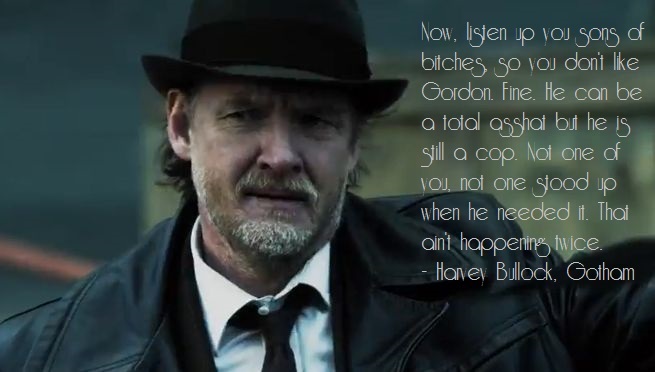 Harvey Bullock (Donal Logue), once as idealistic as Jim, not a world weary cop who’s “with the program”, by “The Mask” Harvey is beginning to be drawn back into the light. You can’t have good guys – without bad guys. 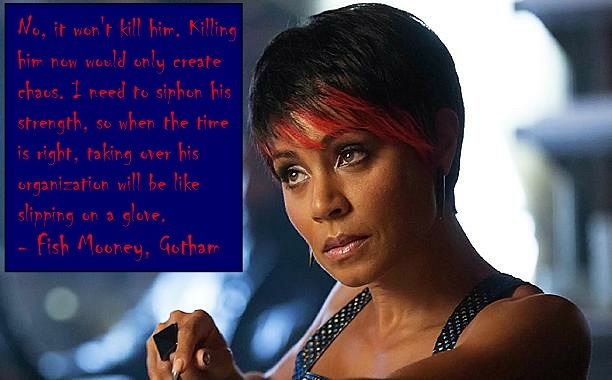 Fish Mooney (Jada Pinkett Smith) is one of mobster Falcone’s top lieutenants, and itching to rise further. It’s tough being an honest cop in a dishonest town. 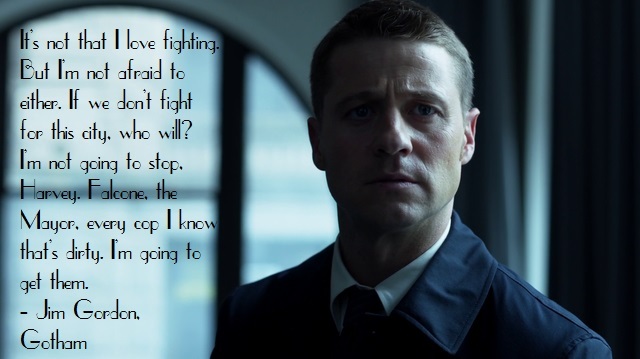 But that’s what James Gordon (Benjamin McKenzie) is trying to do. Jim, by his mere honesty and idealism is bringing light to the darkness that is Gotham. See also my review of the entire book on GoodReads. I would agree that each media is specific – books and films are different. And when books are adapted into films – the material changes. 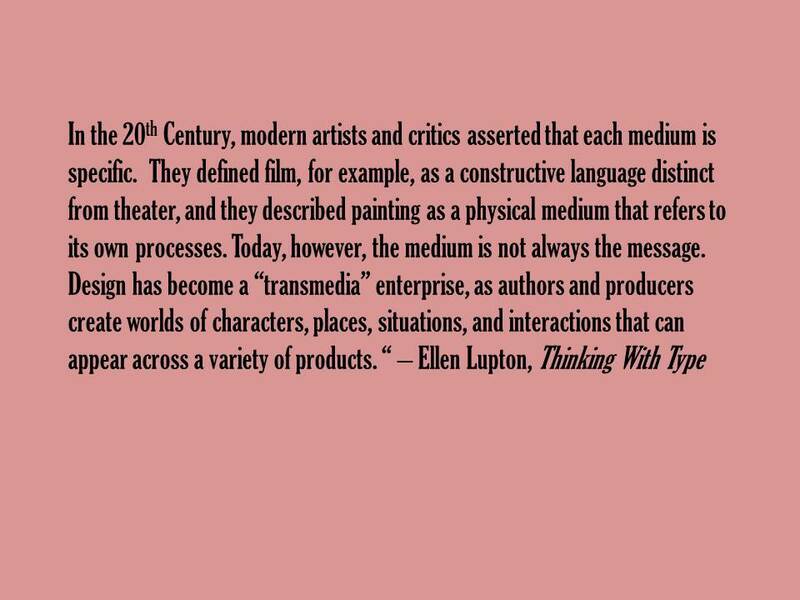 But this quote also points out something astute – more and more often, especially in pop culture, an icon or character is a multi-media experience. Batman started in the comics in 1939, and still exists in the comics – but there have been multiple series of films, live action television series, multiple animated television series, animated films, video games, etc. Each of those different presentations, will have different requirements. 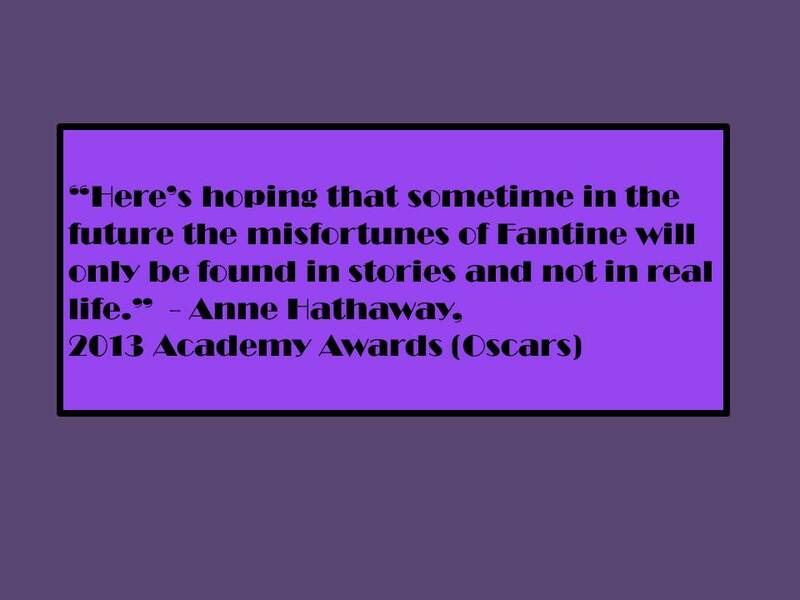 Films, for example, need a definite ending – both individually and in a series or trilogy. But comics, and television shows, by their very nature are on-going. Video games need interactivity and multiple possible storylines. One of the things I’ve always liked about Doctor Who, that sets it apart from other SF series, is it’s relentless optimism. The Doctor isn’t a solder or a member of the military (or a rebellion) like all American SF, including Star Trek, Star Wars, and Firefly, he’s a scientist. And not an Evil Scientist™ but a scientist who’s filled with curiosity and wonder about the universe. 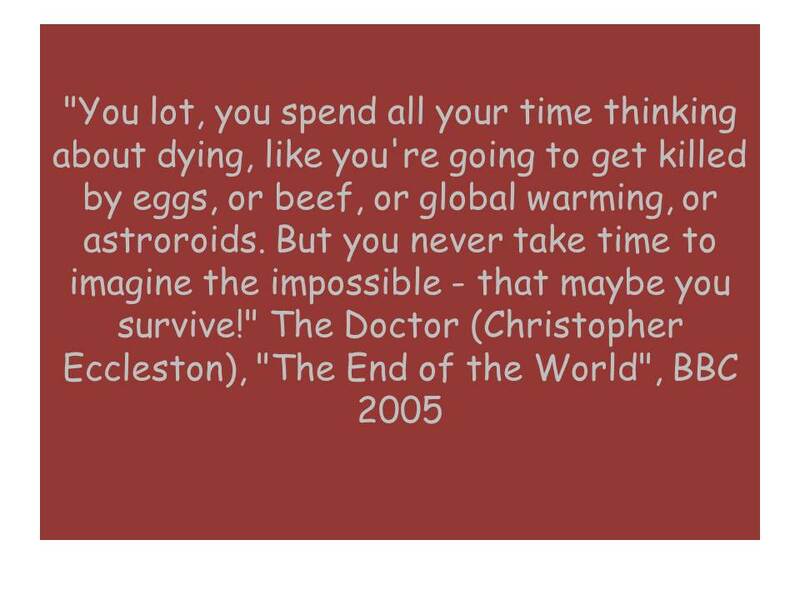 The quote above is from the Ninth Doctor, the shell-shocked Doctor, who as just survived the Time War, yet he can still point out the impossible to Rose – that the human race, despite all the nay-sayers to the contrary, survives. Men had been looking at her that way since her breasts began to bud. Because I was so beautiful, they said, but Jaime was beautiful as well, and they never looked at him that way. When she was small she would sometimes don her brother’s clothing as a lark. She was always startled by how differently men treated her when they thought that she was Jaime.